..please check back soon for a newly constructed site. 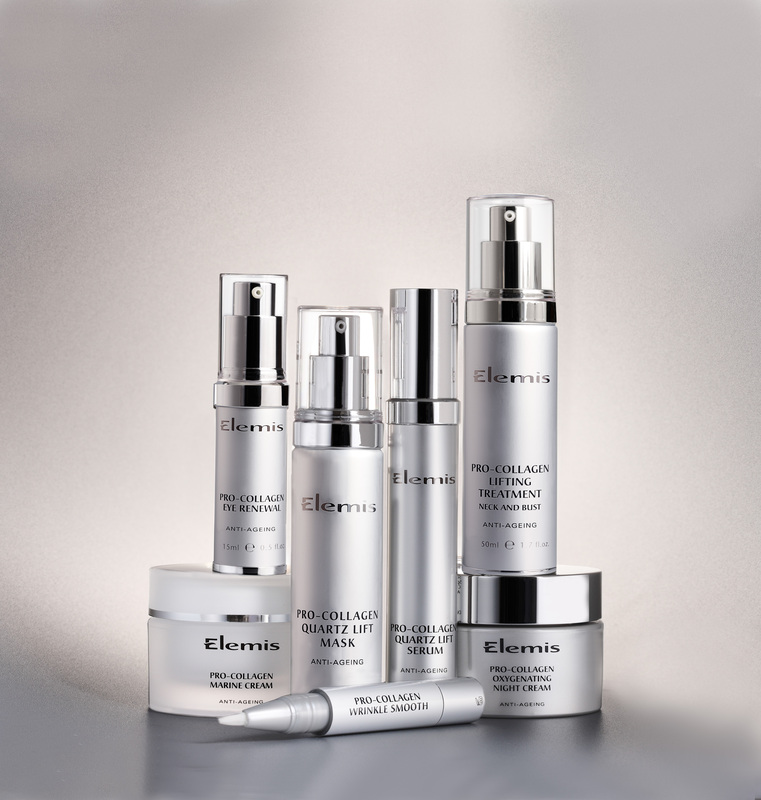 The amazing clinically trialled skincare range Elemis is now available at BodyWorks. We have the full facial and body skincare range to purchase, along with the luxurious Spa@Home system. Call now to book a free consultation and receive advice on products and services to suit your lifestyle. 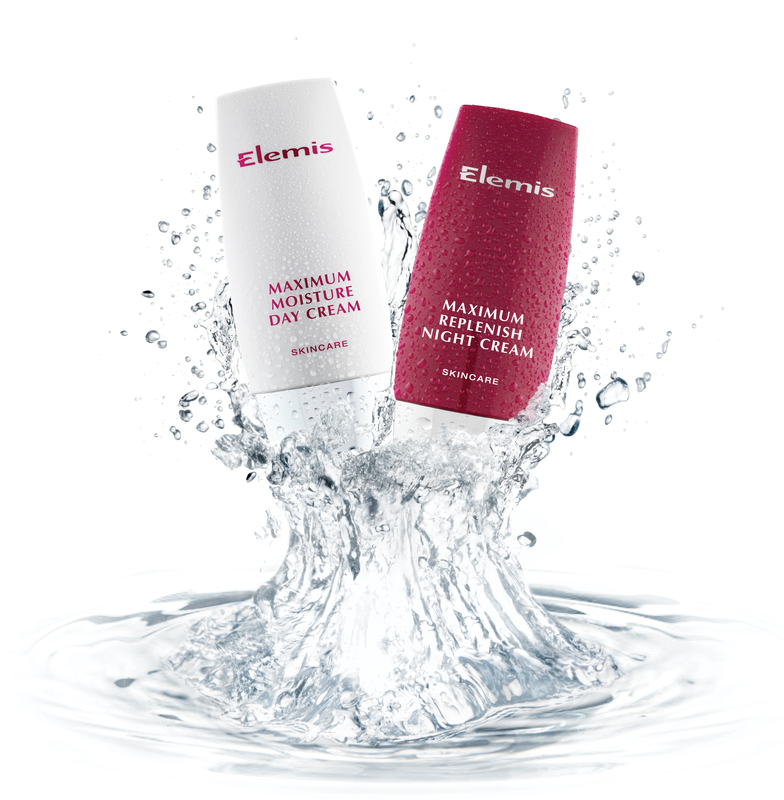 With nearly 20 years experience in treating both men and women in the professional spa environment and in excess of 25 face and body therapies, Elemis provides real solutions for your skin and body concerns. Sienna X Coming this month! 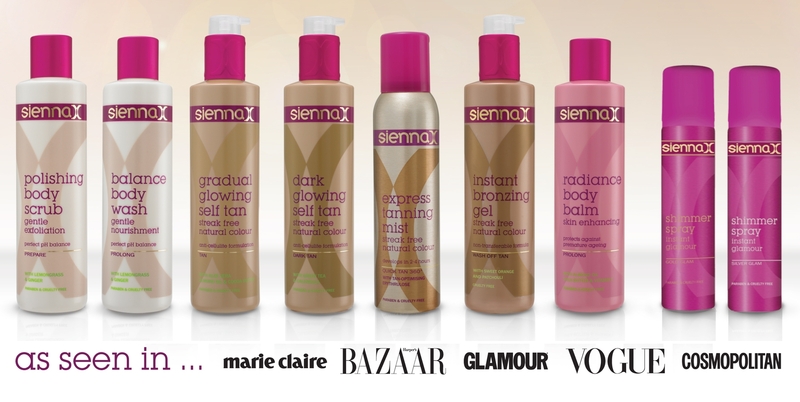 Sienna X Spray Tanning will be available at BodyWorks this month. Keep an eye out here and on our Facebook page for information on when you can book up. From the 27th November we’ll be open on Sundays. Call now to book an appointment to get you ready for the party season. The beautiful new limited edition Scarlet styler is now in stock. 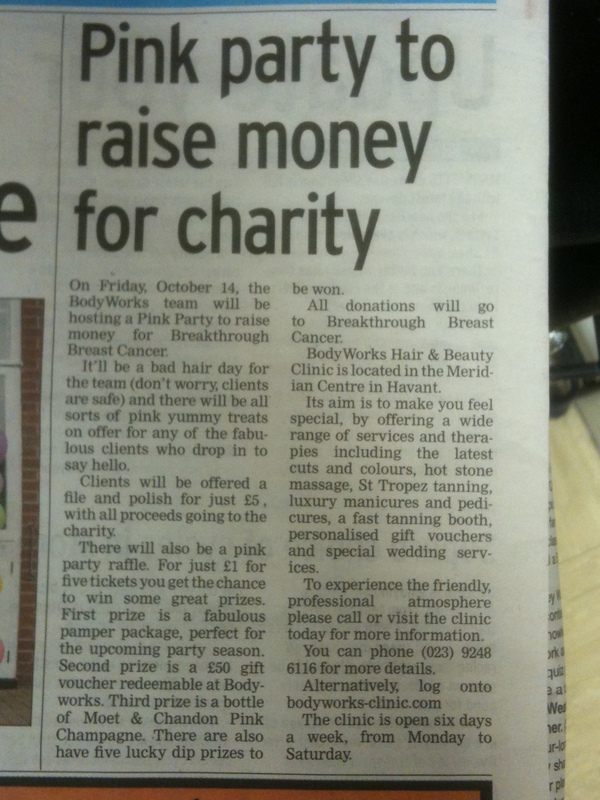 On Friday 14th October the BodyWorks team will be hosting a ‘Pink Party’ to raise money for Breakthrough Breast Cancer. It’ll be a BAD hair day for the team (don’t worry, clients are safe) and there will be all sorts of pink yummy treats on offer for any of our fabulous clients who drop in to say hello. We will be offering clients a ‘File & Polish for £5.00’ deal, with all proceeds going to the charity. We’re also holding a Pink Party Raffle! For just £1.00 for five tickets you get the chance to win some great prizes. 1st prize is a fabulous pamper package, perfect for the upcoming party season. 2nd prize is a £50 gift voucher redeemable here at Bodyworks. 3rd prize is a bottle of Moet & Chandon Pink Champagne. We also have five ‘lucky dip’ prizes! All donations go to Breakthrough Breast Cancer. Enter your email address to subscribe to the Bodyworks blog and receive notifications of new posts by email.